Kick off your visit on the 19th (Fri): tour the pleasant surroundings at Parco Naturale del Monte San Giorgio, contemplate the long history of Duomo di Torino e Cappella della Sacra Sindone, and then explore the world behind art at Egyptian Museum of Turin. On your second day here, don't miss a visit to Piazza San Carlo, then see the interesting displays at Museo Nazionale del Cinema, and then take in the spiritual surroundings of Basilica di Superga. For reviews, maps, photos, and other tourist information, read Turin road trip website . Gainesville, USA to Turin is an approximately 19.5-hour flight. The time zone difference moving from Eastern Standard Time to Central European Time is 6 hours. Traveling from Gainesville in October, expect nights in Turin to be little chillier, around 51°F, while days are cooler, around 58°F. Finish your sightseeing early on the 20th (Sat) to allow enough time to drive to Parma. 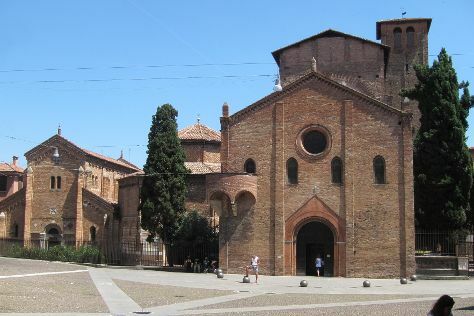 Start off your visit on the 21st (Sun): get some fabulous bargains at Fidenza Village, then step into the grandiose world of Rocca Sanvitale di Fontanellato, and then take in the spiritual surroundings of Battistero di Parma. On the 22nd (Mon), you'll have a packed day of sightseeing: step into the grandiose world of Castello di Torrechiara, make a trip to Palazzo Giardino, then tour the pleasant surroundings at Parco Ducale, and finally contemplate in the serene atmosphere at Cattedrale di Parma. To see reviews, where to stay, traveler tips, and tourist information, go to the Parma trip itinerary planning website . You can drive from Turin to Parma in 2.5 hours. Alternatively, you can take a bus; or take a train. Expect somewhat warmer weather when traveling from Turin in October: highs in Parma hover around 65°F, while lows dip to 51°F. Finish your sightseeing early on the 22nd (Mon) so you can take a train to Modena. Start off your visit on the 23rd (Tue): get to know the fascinating history of Piazza Grande, experience rural life at Antica Acetaia Villa Bianca, and then do a tasting at Acetaia Villa San Donnino. Find out how to plan Modena trip without stress by asking Inspirock to help create an itinerary. You can take a train from Parma to Modena in an hour. Alternatively, you can drive; or take a bus. In October, plan for daily highs up to 67°F, and evening lows to 52°F. Wrap up your sightseeing on the 23rd (Tue) early enough to take a train to Bologna. On the 24th (Wed), steep yourself in history at Piazza Maggiore, take in the spiritual surroundings of Basilica - Santuario di Santo Stefano, then take in panoramic vistas at Torri degli Asinelli e Garisenda, and finally steep yourself in history at Basilica di San Petronio. Keep things going the next day: indulge in some culinary diversions at a local gastronomic tour, then steep yourself in history at Palazzo Schifanoia (Palazzo della Gioia), and then ponder the world of politics at Castello Estense. To find photos, where to stay, traveler tips, and tourist information, use the Bologna trip planner . Bologna is just a stone's throw from Modena. In October, daytime highs in Bologna are 67°F, while nighttime lows are 52°F. Cap off your sightseeing on the 25th (Thu) early enough to catch the train to Florence. Florence is known for museums, historic sites, shopping, classes, and nightlife. Your plan includes some of its best attractions: admire the masterpieces at Uffizi Galleries, get to know the fascinating history of Piazza della Signoria, contemplate in the serene atmosphere at The Baptistery of St. John, and take an in-depth tour of Basilica di Santa Croce. For where to stay, more things to do, and other tourist information, you can read our Florence sightseeing planner. Traveling by train from Bologna to Florence takes an hour. Alternatively, you can drive; or take a bus. In October in Florence, expect temperatures between 71°F during the day and 54°F at night. Finish up your sightseeing early on the 28th (Sun) so you can travel back home. Alba is a town and comune of Piedmont, Italy, in the province of Cuneo. 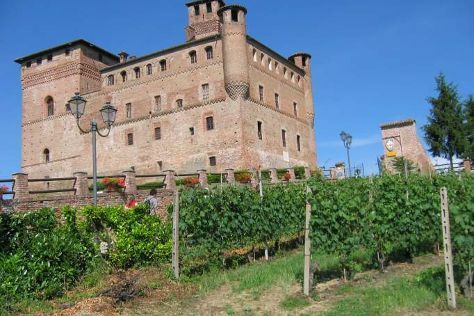 Start off your visit on the 29th (Mon): explore the historical opulence of Castello di Grinzane Cavour, do a tasting at Marchesi di Barolo - Sede legale, magazzini e spedizioni, then see the interesting displays at WiMu - Museo del Vino a Barolo, and finally make a trip to Centro Storico. Get ready for a full day of sightseeing on the next day: don't miss a visit to Lungomare Europa - pista ciclabile fra Varazze e Cogoleto, contemplate the long history of Fortezza del Priamar, then don't miss a visit to Finalborgo, and finally explore the fascinating underground world of Grotte di Toirano. To see reviews, maps, other places to visit, and tourist information, read our Alba trip maker website . Getting from Florence to Alba by car takes about 4 hours. Other options: take a train; or take a bus. Traveling from Florence in October, expect Alba to be slightly colder, temps between 63°F and 47°F. Wrap up your sightseeing by early afternoon on the 31st (Wed) to allow time for travel back home.